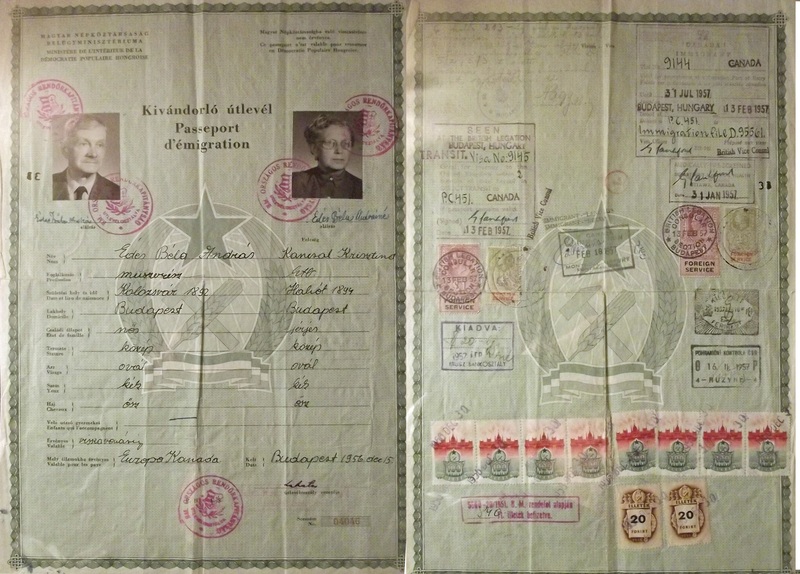 This Hungarian passport was issued for Béla and Krisztina Édes to allow them to immigrate to Canada. It was issued in December 1956 after the ill-fated Hungarian uprising in October. They arrived in Canada in February 1957. I don’t know how they made their way out of the country or what their journey was like. Canada was very welcoming to the 30,000 Hungarians who immigrated in 1956 and 1957.